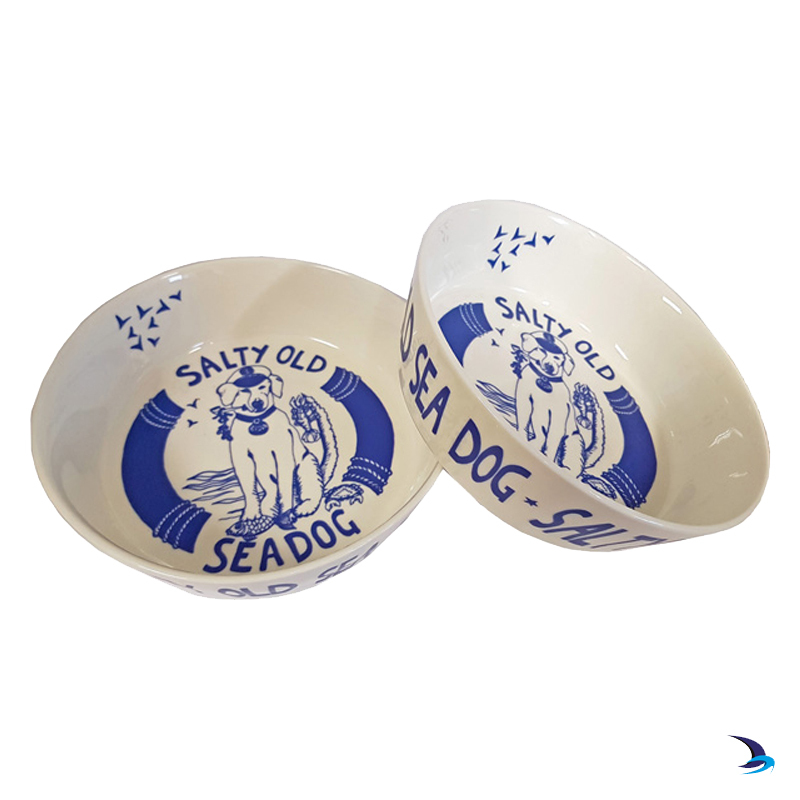 The Salty Old Sea Dog bowl is the perfect accessory for your favourite four legged friend. Each bowl is individually hand decorated in Port & Lemon's Hampshire studio so every one is slightly different. Made from bone china, the bowls feature the ever popular Salty Old Sea Dog and a variety of his seaside friends in blue on white china. As each bowl is different the imagery varies, the designs feature small lobsters, crabs and fish details, in a variety of combinations but all have stars and seagulls. Around the outside of the bowl are the words Salty Old Sea Dog. They don’t have to be just dog bowls, use for whatever you fancy! A fabulous gift for dog lovers. The bowls are all fired in a kiln and completely dishwasher safe.